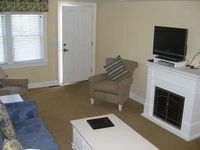 Property 15: Brand new 1665 square foot condo conveniently located in downtown Dennis Port. The location of this home was perfect being Mid Cape. 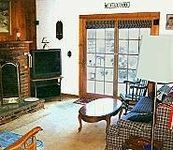 Although small we (3 adults) had plenty of room without using the third bedroom. The kitchen met our needs and there are plenty of restaurants close by. The home was clean and tidy and the shower was great after a hot sticky day out. The beach was within walking distance and there was plenty to do and see all over the Cape.